What a blessing you have been to me! I have had chronic pain for 14 years and was given MD prescribed medication to take four to six times a day. I refused to use morphine or vicadin but did use another pain medication. I was a skeptic about hypnosis until you showed me how beneficial it is. You taught me self hypnosis to use when I am hurting and it works! Instead of popping 4 to 6 pain pills daily for my pain, now I sit down and relax and follow you hypnotic suggestions and feel relieved in a few minutes. Now I use perhaps one or maybe two pills a day – what a difference! I thank Vern for finding you and then you for treating me! Life is good!! Truly, the mind is the greatest vessel! I would like to thank you for all the help you have given me with all the stresses I have had in my life. One circumstance that comes to mind was when I was horribly burned. The pain was almost more than I could handle. The scarring was also hard for me to cope with. You and hypnosis have help me overcome both the pain and my negative self image. If not for you and hypnosis I don’t think that I would be here today. I now proceed with my self in the most wonderful way. Thank God for you and hypnosis! Danny, there certainly is no doubt in my mind, you will get a star in heaven. Yes, the mind is the greatest vessel! Once in a while someone who just naturally makes everyone feel a little happier a little more alive to life. You’ve been that someone to me. You’ve given me a new perspective on a lot of things, including myself. There are things you’ve said to me I’ll always remember and ways you’ve helped me I’ll never forget. The sessions we spend together are always good times that leave me looking forward to the next time. So thanks for being the wonderful person you are You’re an inspiration to me, and I’m very glad and grateful that I came to see you for hypnotherapy. Thanks for all the healing you promote. My life is better because of it! You have helped me empower myself and to face my fears, and to help me let go of shame and guilt. You have helped me to be more patient in doing things I need to do. It’s a great feeling to feel empowered and to be in control. You are a great man and hypnosis is a powerful tool just like our minds. I came to Danny Cabrera when my life was in the height of confusion, disquiet and turmoil. Danny helped me find a path to positive thinking instead of worry. He helped me focus on self-love, openness and self-esteem instead of guilt, worry and fear. Danny offers insight, caring and an open-minded approach to a myriad of challenges that is helping me navigate my future in a positive way. I first came to Danny virtually on my knees at the lowest point in my life. I was a substance abuser who had recently lost his partner of many years, new in a strange community, with lots of excess baggage. I felt helpless… A mutual friend recommended I go see and talk to Danny, and so I did. And what amazing changes have happened in my life. I am no longer drinking myself into oblivion, and my grief is under control. I have found a good job in my field, and am very productive, professionally and otherwise. I now have a new and clearly defined path I am following, a path I laid out for and by myself with the help of hypnotherapy and Danny Cabrera. That path is never ending, so if and when I find myself wandering away from it, I know that Danny is only a phone call and hypnotherapy session away, and I am gratefully back on track. I had never been to a therapist before. This was my first experience and it was a wonderful experience with Danny. Danny is the kind of person who belongs in this field: Kind, caring and concerned for the welfare of those in need of a trusting soul who listens, is eager to help, provides tools and feedback and generally sets one on the correct path! As one of many who think that they cannot be hypnotized, I’m here to tell you that this truly works and the benefit is powerful. Using medication for years to sleep, I am completely off of it as well as I have a more rounded view of my world and the people in it. I now use Danny’s CD to self-hypnotize when falling asleep at night. I also had lost my significant other of 29 years and had been trying to deal with my grief on my own. Sometimes we just need to seek counseling from those not in our circle. Danny was a blessing to me. He helped my in countless ways. I am a stronger and better person with a new and refreshed outlook in my life. All thanks to Danny. God bless you Danny. When I first made my appointment to see Danny Cabrera…I didn’t know what to expect… just open to try anything to help me feel “un-stuck”. One of my closest friends recommended Danny to me based on her experience with him and I knew how much he was able to help her help herself. I immediately felt comfortable with him and was able to open up and talk freely with out judgement or criticism. Every session was a step closer to feeling more open to the possibility of working through my fears, connecting the dots and getting to the root of a problem. He always had a box of tissues by my side to dab the tears and allowed me to freely express myself. I am grateful for his ability to help me stay focused on just the immediate issues that I had control over, not get so overwhelmed with the big picture and learn to be my own best friend. I always left our sessions feeling better and more focused on the baby steps that eventually became leaps and bounds. He truly had a huge impact at one of the most difficult periods of transition in my life. I have recommended him several times to my friends who I know are struggling with their own challenges. 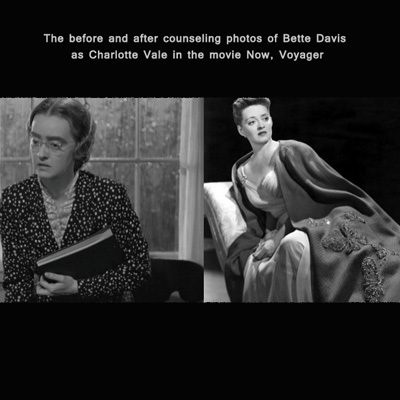 I’m pleased to be able to provide a recommendation for Danny Cabrera’s Now Voyager Hypnotherapy. I originally went to Danny for some help with a persistant procrastination problem, but almost immediately we expanded it to cover several other areas that I very much needed assistance with: anger management & identity. As with many issues of this sort, there are no instant cures (as promised by some traveling hypnotherapists), but I’m happy to say that Danny has assisted me a great deal. I highly recommend his services. Life is meant to be lived in the best manner possible, however, on occasions, situations arise that can throw us for a loop and we need to reach out for help. That help can come from friends, family, religious/spiritual organizations, music, books, social workers, lovers and various professional agencies, depending upon the situation. I always start with God first and do my best to remain open to whatever directions are given and then to follow through to the best of my abilities. Sometimes, I am led down a path I have never traveled before and I encounter unknown fears and solutions. This happened for me recently and I was interestingly pointed in the direction of Hypnotherapy via Danny Cabrera. I am grateful I listened to my inner voice and followed through. The sessions were extremely valuable in guiding me through changes I wanted to make, especially in regards to getting past an emotional blockage I have had for years surrounding my creativity with music. It wasn’t hocus-pocus or mind control or any such nonsense; it became a valuable tool that actually worked. Of course, like any modality, one has to be willing to allow the information gleaned to be utilized so that it becomes incorporated into the self in order to enhance what I already knew I needed to do to effect the results I was seeking. Not always pleasant nor easy, but, I can tell you it worked extremely well and when I am through with my project, I will be happy to allow Danny to use the final result as an example of how Hypnotherapy can & does produce results. If you don’t try or if you judge something without personal experience, you may never find what it is you seek. One of the most important ideals in my life is to never look back and ask myself why I didn’t try. I am so glad I did. It is great to meet someone that is passionate and so knowledgeable about their career. Danny Cabrera, owner of Now, Voyager, is a hypnotherapist and a darn good one at that. You probably have heard about hypnotherapy to quit smoking, curb your appetite, or to eliminate pain but my son used him to help his sports game. My son is a baseball player who had a bad habit of stepping out at the plate. When the pitch came, his front foot would step back so far that if he hit the ball, it would go off the end of the bat for a weak hit to the infield. After his meeting with Danny, we saw a noticeable difference and after the second meeting his stepping out was totally gone. We would highly recommend using Danny for any sports related problem or just moving your game to the next level. In sports, it is often what is going on in a players head that holds him or her back. If you want to change some things in your game, Danny Cabrera will help you get to your new goals. You have been heavy on my heart for a few days and I wanted to extend my love and light to you. I’ve been sharing parts of my story with a friend and have really noticed how much of a positive impact the work we did together has changed my life. I am very grateful to have had the relationship we had for years and the growth that I experienced that I could have never gotten anywhere else. Thank you Danny for being a huge part of my life. If it wasn’t for your help I would not be in a relationship. We have been dating for close to 5 months now. He is very sweet and caring. I am very happy and can’t thank you enough. You changed my life and I will forever be grateful! You have made all the difference in my life from being in a coma to being alive again! I know the weather and stopping the narcotics had some to do with it but I believe most of the credit goes to you. A little over a year ago I was diagnosed with an anxiety panic disorder. This disorder caused panic so intense it kept me from doing thins outside my home. I sought out help with a psychiatrist. She recommended seeing her once a month and a group therapy session once a week all for an undetermined amount of time. I found the groups uncomfortable and their methods ineffective. The one-on-one was helpful but infrequent and had little effect. So I dealt with my anxiety the best I could, but never truly felt in control. At the months went by, and changes came, so did the anxiety. This time I decided to try something that some may call “unconventional”, Hypnosis. In only four, one hour sessions, I felt more in control than I ever did after eight months of conventional therapy. At last I am finally free of these unnecessary feelings. My hypnotherapist Danny Cabrera is to thank for my success story. I highly recommend this type of therapy for any ailment. I Started going to Danny (Now, Voyager Hypnotherapy) because of a long battle with Alcoholism. I was referred to him through friends and it is one of the best decisions I have made in my entire life! Danny has saved my life! When I started with Danny, about three months ago I was a mess and I wanted to die. I had just come of detox, lost my job and despised myself. Through talk and hypnosis, Danny has helped me to love and respect myself. He has showed me how to deal with other, understand my importance in this world and how to take one moment at a time. He provided me with hypnosis CDs and meditation/relaxation techniques that I use at home. Danny is always just a phone call away. I have called him numerous times for some quick support and just a pat on the back. I have been sober 3 months with absolutely no desire to drink, have a full time job and can actually say I Love Myself. Thanks Danny and Now, Voyager. You have brought me my life back!